Each week during our Lenten journey, the children have dramatised the Gospel story for the day. They have done so with confidence and dignity. These dramas have enriched the word of God for us, helping us to focus and listen. This week was no different, once again the children were at their best. In our Gospel drama, we heard how Jesus, listened to his friends Martha and Mary who were very upset, because their brother Lazarus had died. Jesus was touched by their sorrow. He prayed and thanked his Father for listening to him. Then Jesus did something amazing. 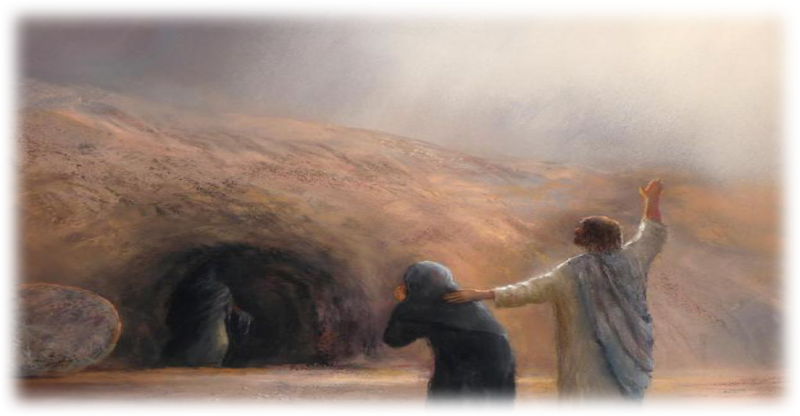 He raised Lazarus from the dead. This story reminds us that Jesus is our friend too, and he listens to us when we turn to him in prayer. So as we all left mass we prayed that our hearts be open to listen to Jesus and that we will reach out, like him, to all in need with love and kindness. Thank you, Jesus for being our friend. Be with us this week, as we continue our journey towards Easter. Help us, to remember you are our friend. Help us to listen to others. We follow in your footsteps.